You are here: Home / Shop / Uncategorized / Small Wrought Iron Candle Sconces-Pair Priced to Sale! 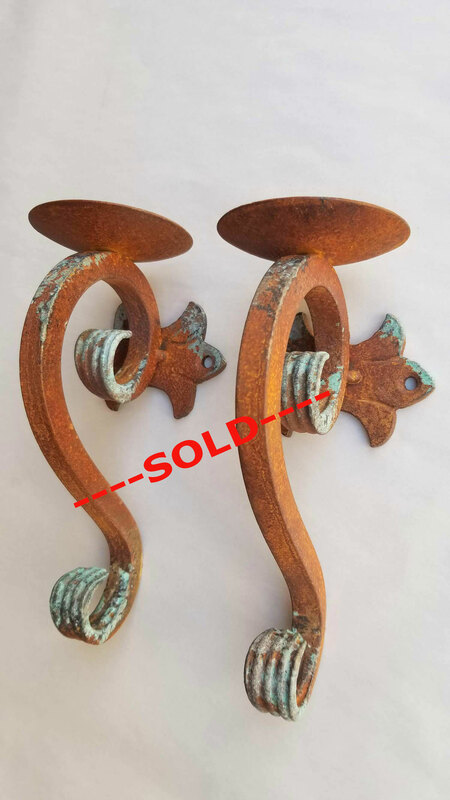 Small Wrought Iron Candle Sconces-Pair Priced to Sale! 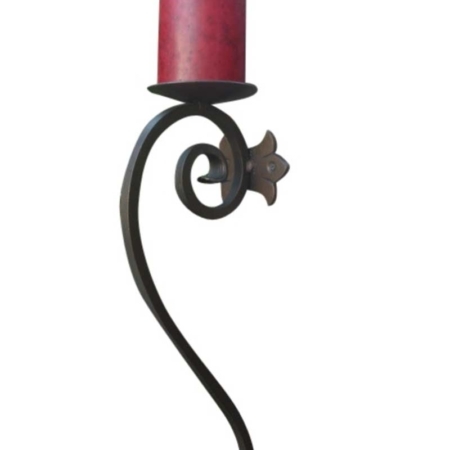 Small Wrought Iron Candle Sconce Pair at a reduced price for that perfect place in your home or garden! Don’t hesitate on this sale. They are ready for shipping and there is no cost to you for shipping if you are in the Continental U.S.A.
SOLD-AS IS and Ready to Ship Now! 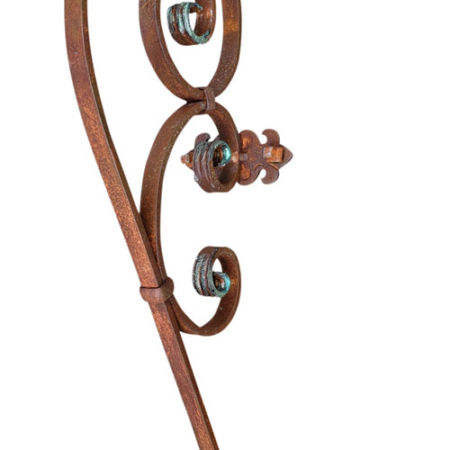 Small Wrought Iron Candle Sconce- A Pair at a Reduced Price! 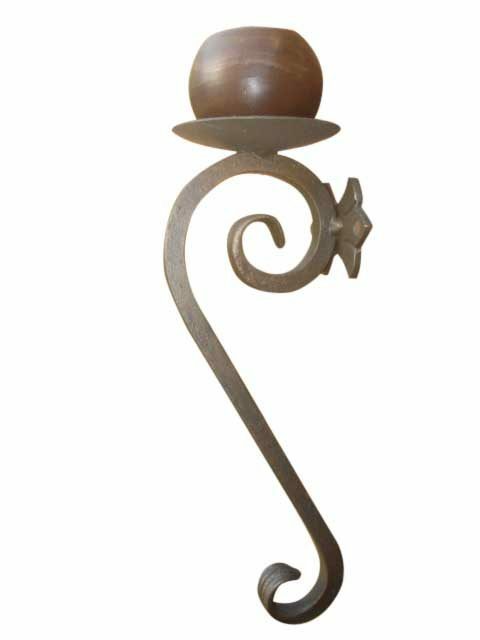 If you are looking for that small wrought iron candle sconce that is perfect for your space, take a look at what we are offering with this Pair of handmade metal wall hanging candle holders. How many times do you see a good deal and decide to walk away? The next day you decide you really want the deal and when you go back it’s gone? 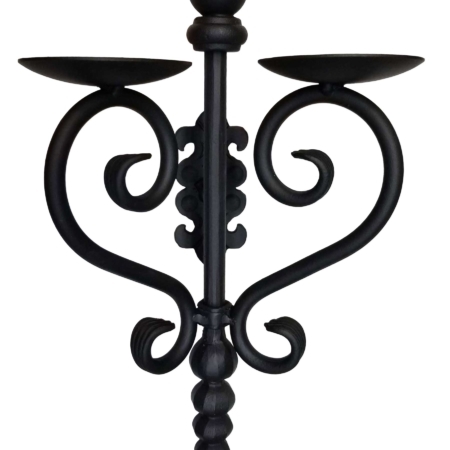 Well…That could happen with this beautiful pair of Wall Mount Candle Sconces that are being sold as a pair. And, if you are familiar with our website you know we don’t usually sell things in pairs. 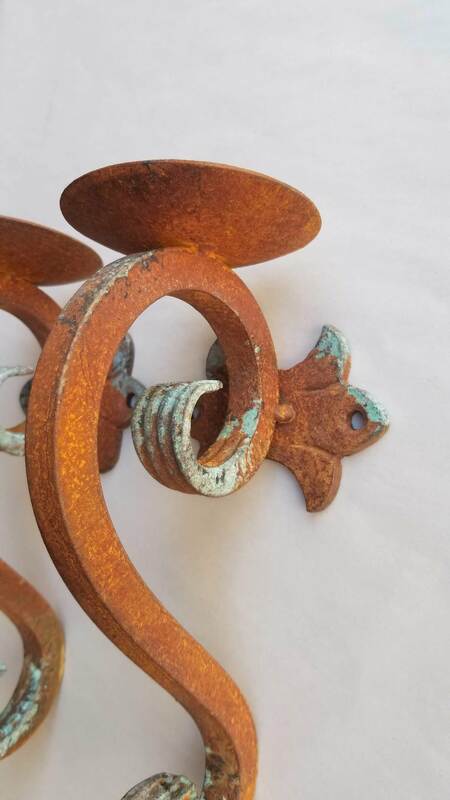 But, we realized these decorative rustic iron patina candle holders need to find a good home together. 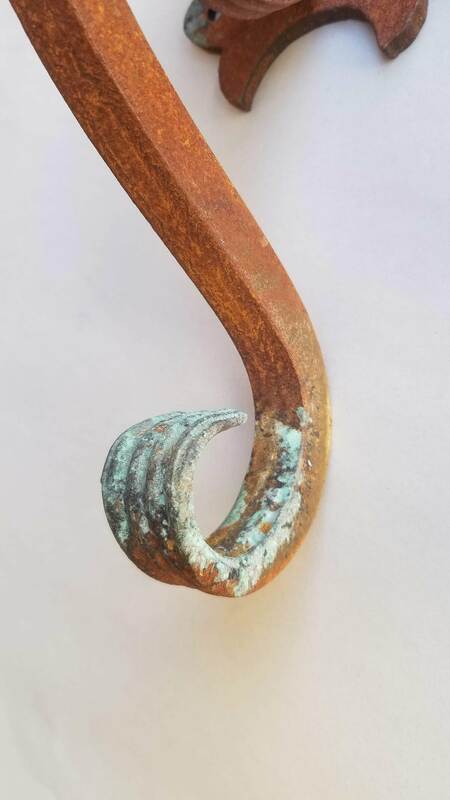 So, they are going together and are going to good fantastic in your home or outdoors on your patio. So, wherever you see them hanging don’t hesitate because they will not be here long. 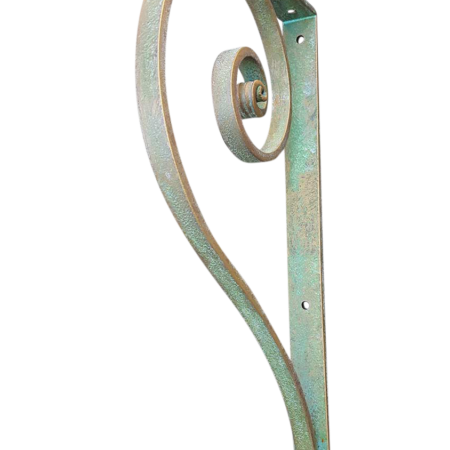 By the way, they will have our beautifully finished screws for easy installation and a nice compliment to the metal sconces. 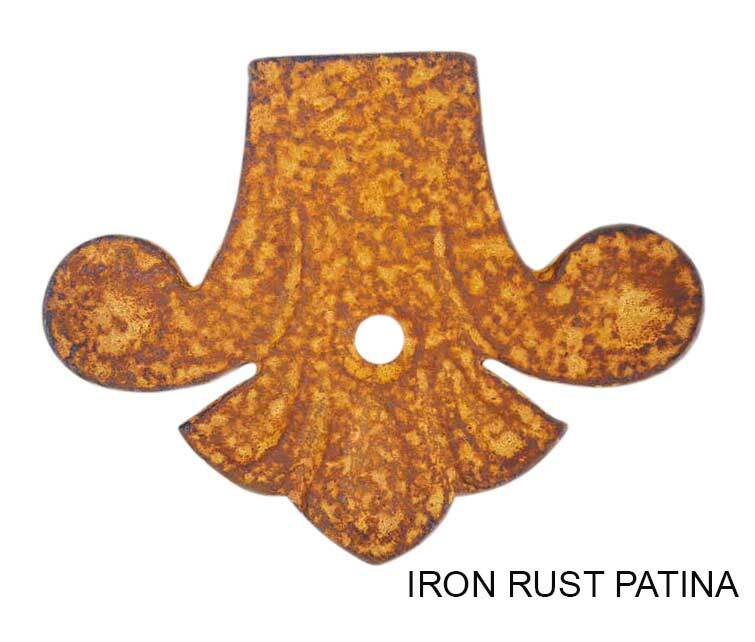 In addition, the finish is our Rustic Antique Iron Patina Finish- They look like they have been outside and weathered for quite some time. Also, they are sold AS IS – No Returns! But, we know you won’t even think about returning them.